With origins tracing back to more than a decade and 15 outlets in local-wide, I am sure that Soup Restaurant or better known as 三盅两件 for the older generations, is not a stranger to most of you. Mama Kook loves their traditional "Chinatown heritage cuisine", especially their Samsui Ginger Chicken, Beggar's Bowl Tofu and Ah Gong Potato Leaves, just to name some. Hence more often than not, we frequent this restaurant for our weekly family dinner. Soup Restaurant's highly-recommended, signature dish - Samsui Ginger Chicken (S$15.90) is savoury and flavourful. 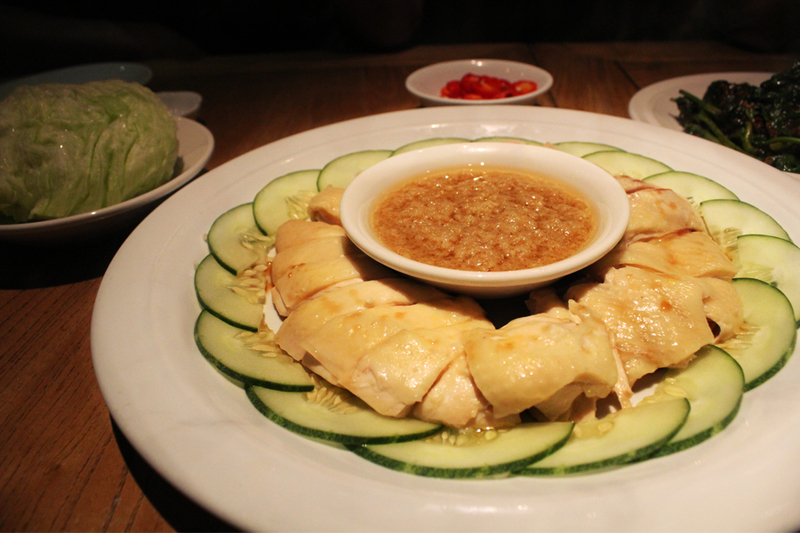 The tender chicken meat was steamed with simple seasoning and is served boneless for easier consumption. The secret lies with their special ginger sauce, a fragrant but not too over-powering mix which complemented the chicken well. Seemingly less oily than the usual hawker chicken, it proves to be a healtier alternative as well. 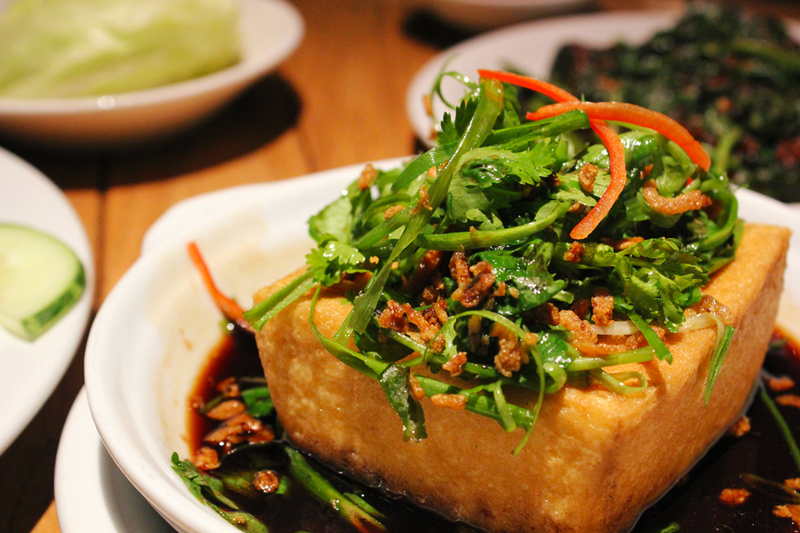 We also ordered the Hometown Tofu (S$8.90) - freshly hand-made tofu garnished with greens. 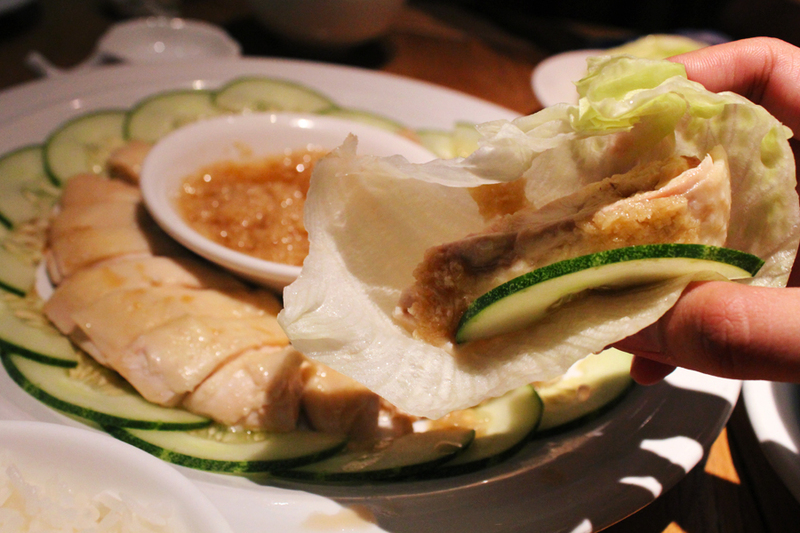 The tofu skin is slightly crisp, but the inside remains soft and silky. 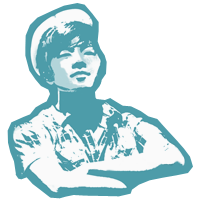 However, I still prefer their Beggar's Bowl Tofu. 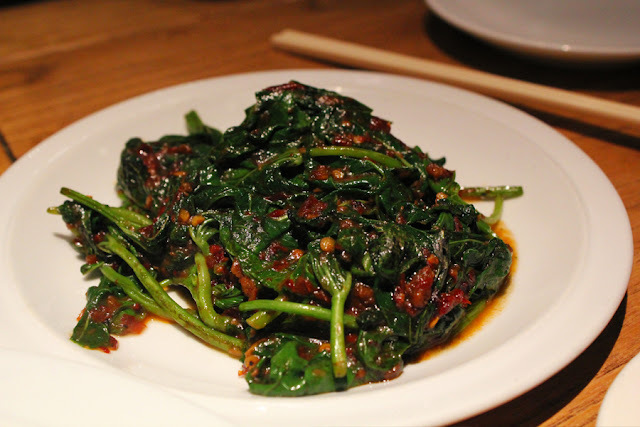 Another speciality, Ah Gong Potato Leaves (S$8.50) - sweet potato leaves sauteed with sambal belachan (spicy shrimp paste). We never failed to order this dish whenever we visited. It also comes in a non-spicy verson - Ah Ma Potato Leaves. Soup Restaurant only dishes up 30 servings of Hand Chopped Minced Pork w/ Salted Fish (S$8.90) per day. It is tender, flavourful and has just the right amount of saltiness. The addition of chestnuts into the minced mixture provide an irresistible crunch. Peiyi ordered the Double Boiled Tian Chee Chicken Soup (S$7.90) which helps to detox/cleanse and rejuvenate one's body. It is a tad bland for my liking, I reckon the amount of herbs (especially Tian Chee) used is of small quantities. 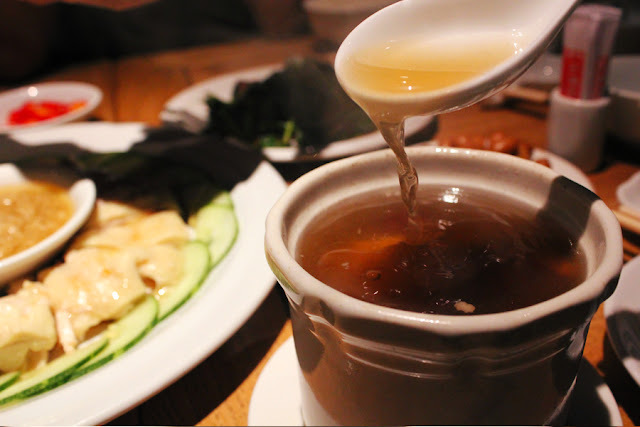 Soup Restaurant is generally worth the bucks and is likely to be popular especially among the older generations who lived through the "samsui" era, as the flavours would probably evoke their nostalgic memories. For the younger generations like me, while taking a bite of that succulent Samsui Chicken, try to understand the stories and heritage of our ancestors, and savour a piece of history.